Journalist Jehan Mohd is 30 today. I thought she would like a mer? original handbag so I invited Ice to design one that would suit her charming and vivacious personality. Ice did not disappoint and I am very happy with her creation. 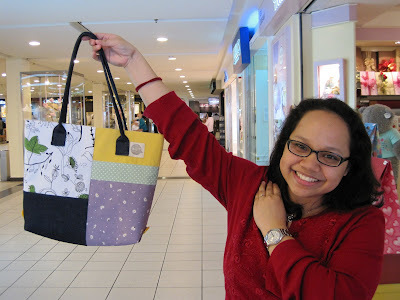 I think Jehan likes the stylish tote (see picture) too. Happy Birthday Jehan and enjoy the bag!